Amongst all the ridiculous jars are also excellent products that you can safely use.And reliable, revolutionary ingredients, which actually help your skin, do exist. 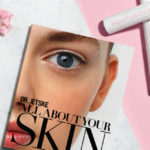 What they are and how can you best care for your skin, is exactly what you'll find in this book. Use this book als your guide, and soon you can enjoy having gorgeous skin.